4 inches long with a very sharp point. They have a serrated edge which allows you to cut cleanly on difficult fabrics like silk. These stainless steel scissors are 4 inches long with a very sharp point. They have a serrated edge which allows you to cut cleanly on difficult fabrics like silk. The serrated edge holds the position of the blade on the fabric so even tiny, tiny cicles have a nice continous line. 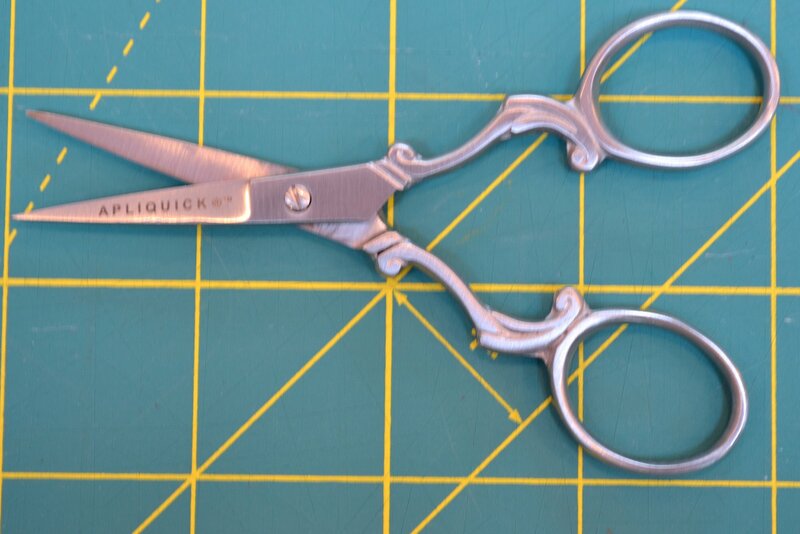 My favorite scissors after doing Applique for 17 years. You simply can not cut small applique pieces with big piecing scissors. See free video on your basic tools for this Apliquick method of applique.